Complicated puzzles, fast food, robots. What else can you ask for? 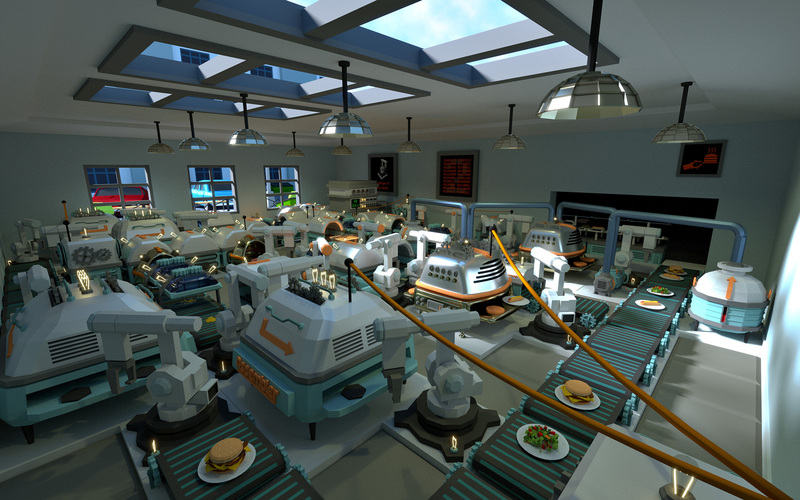 Automachef is an indie puzzle game in which you will have to build automatic kitchens for a robotic fast food tycoon who believes he's a human. 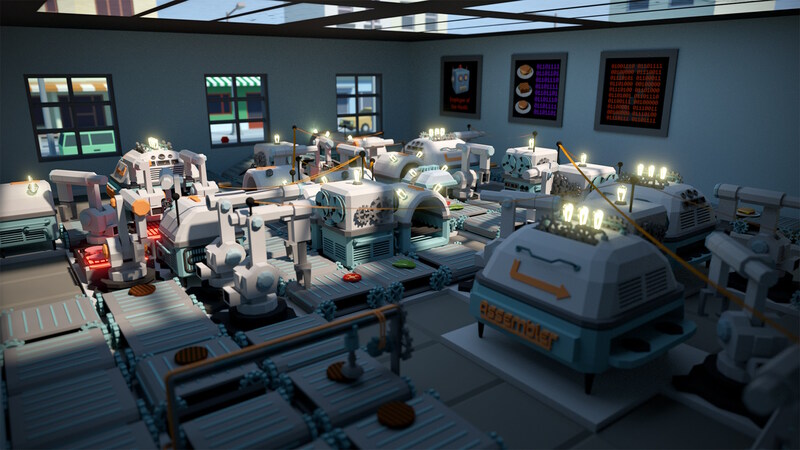 You can choose from dozens of different machines to build your automatic kitchen in exactly the way you want! 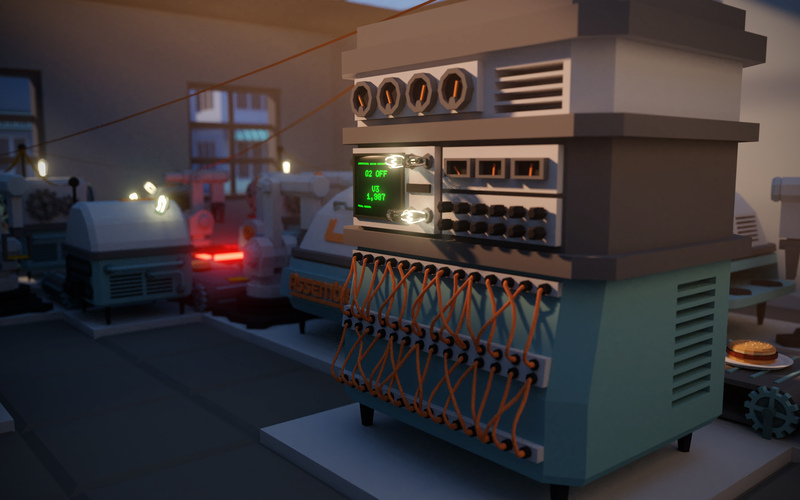 Conveyor belts, robotic arms, splitters, computers, gates and much more! 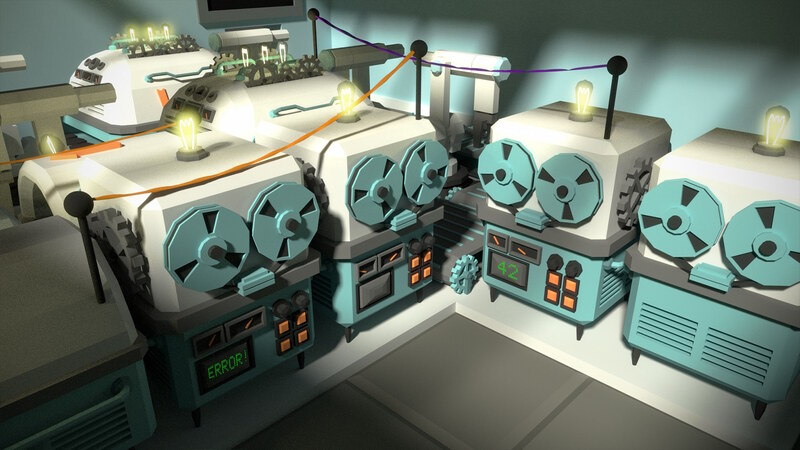 Automachef includes several types of computers you can program in assembly code to make other kitchen parts, such as robotic arms or ingredients dispensers, act whenever you command. 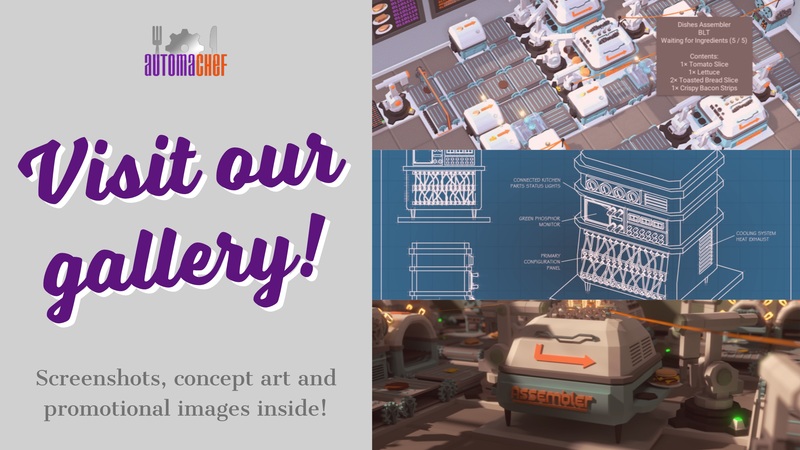 This will definitely keep you busy: 50 different levels, dozens of different dishes to prepare, special events, and even assembling your contraptions inside a tiny food truck! We'll never send you spam, and we'll never send more than one email a week. Promise!